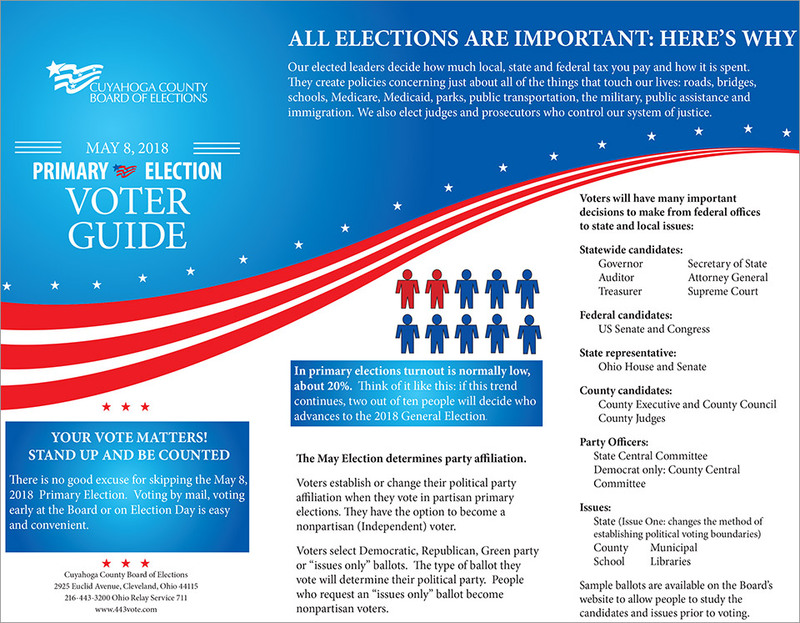 There are many important decisions for voters on the May 8th Primary Election Ballot. These include candidates for Governor, statewide offices, US Senate, US Congress, State House and Senate. The County Executive and some members of County Council as well as judicial candidates will also be on the ballot. This Partisan Primary Election is an opportunity for Democratic, Republican and Green party voters to select the candidates who will advance to the November General Election. However all voters including nonpartisans will have an opportunity to decide State, County, school and municipal issues. The May 8th Primary also offers people the opportunity to establish their party affiliation, change their party, or become nonpartisan voters. In Ohio the type of ballot voters choose determines their party affiliation. People who wish to cast ballots by mail need to obtain, complete, and return their Vote by Mail applications as soon as possible. To request an application visit: www.443vote.com, or call (216) 443-VOTE (8683). Vote by Mail ballot applications are also available at all public libraries. Early voting is available from April 10th 2018 through May 7th 2018 at the Board of Elections located at 2925 Euclid Avenue, Cleveland. 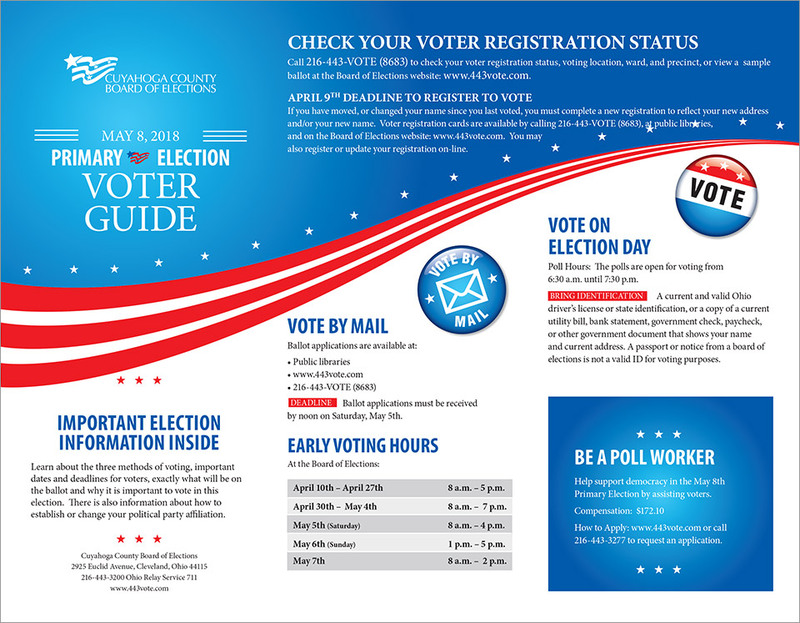 Voter Registration Deadline: You may now register to vote online at www.443vote.com. The voter registration and change of address deadline for the May 8th Primary Election is Monday, April 9th 2018, at 9:00 p.m. Voters who have not registered, moved, or have changed their name, must update or register to vote on or before April 9th. Registration cards are available at all public libraries.